Under the countless billions of stars in the universe, what forms will alien life take? How will they live? And what will happen when we meet them? 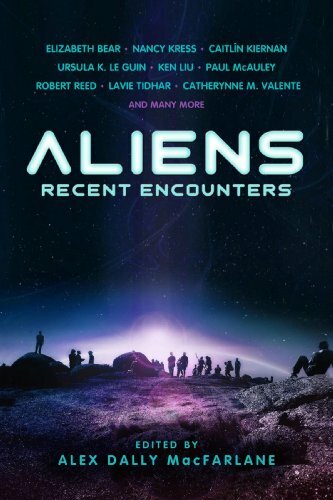 Aliens: Recent Encounters collects answers to these questions from some of today's best science fiction writers. From first encounters to life alongside aliens - and stories of the aliens' own lives - here are many futures: violent and peaceful, star-spanning and personal. Only one thing is certain: alien life will defy our expectations.